49% of people say they rely on recommendations from influencers when making purchasing decisions1. In a saturated market where brands are continuing to struggle against competitors in order to be noticed by their audience, influencer marketing can be the golden ticket in a brand’s strategy. Influencer marketing is simply the action of promoting and selling products or services through people (influencers) who have the capacity and reach to have an effect on the character of a brand. Usually, these influencers have a large following on a social media and with this power, they are able to target specific groups and individuals, rather than the market as a whole. Influencer marketing aims to build an experience and emotional connection between a brand and their target consumers. This involves building relevant content touch points throughout the customer journey. Influencer marketing is likely to grow in 2018 and is going to act as a lever for brands to grow and engage their audience through a variety of social media platforms. Last summer’s Love Island took to our screens for the third year running and proved to be extremely popular with the public, racking up over 2.4 million viewers for the final episode. Since leaving the show, Love Island contestants have been overwhelmed with sponsorship deals and contacts from brands looking to make the most of their new-found fame. With many of the contestants already having a large social media following before they appeared on the show, it came as no surprise that brands were jumping at the opportunity to work with them on their departure. Google Trends showed that the search interested for Love Island peaked three weeks in, with one of the contestants, Jessica, being the second most popular related query to ‘Love Island’. She has accumulated over a million followers on Instagram since entering Love Island and within a few weeks of leaving, she had agreed sponsorships from 39 brands. Having previously worked with fashion brands such as Missguided, Boohoo and Miss Pap, she has since secured sponsorships from a variety of health and fitness brands including Sports Direct and Nutribuddy as well as many other beauty and accessory brands. Even the contestants still in the house had their friends and family manage and post on their social media accounts, allowing them to get a head start on attracting PR opportunities and brand deals when the show was over. The show proved to be a huge platform for the contestants to scoop up some high-paid brand deals with some well-known brands across the UK. 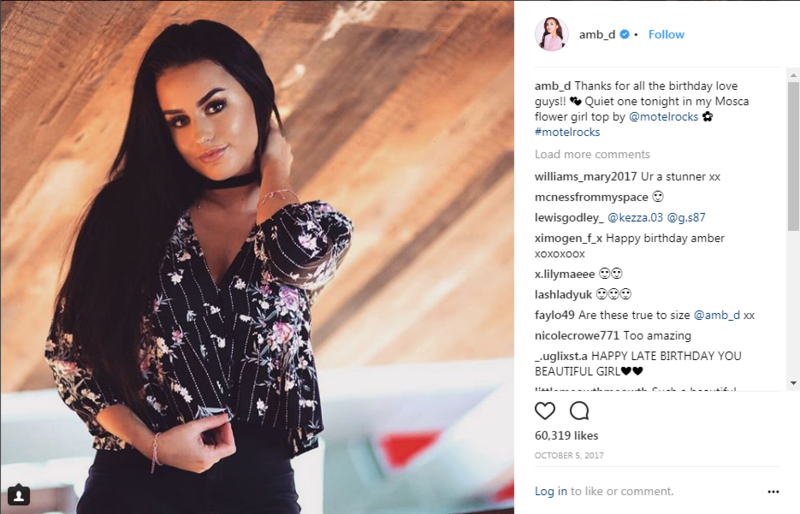 Amber Davies (winner of the show) was offered £500k to be the face of fashion brand Motel Rocks, and since then, posts images of her wearing their clothing brand regularly on her Instagram account to over 1.6 million followers. 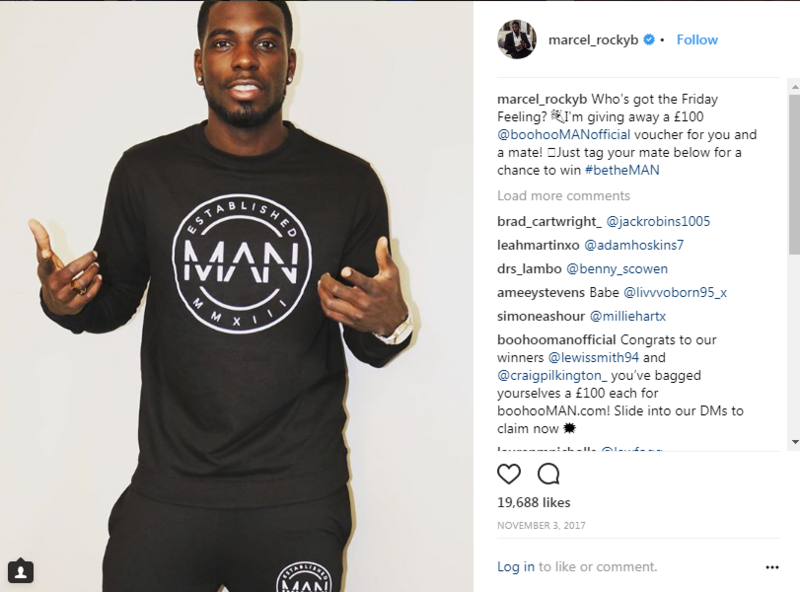 Kem Cetinay, Marcel Somerville and Alex Beattie have all had deals with BoohooMAN. 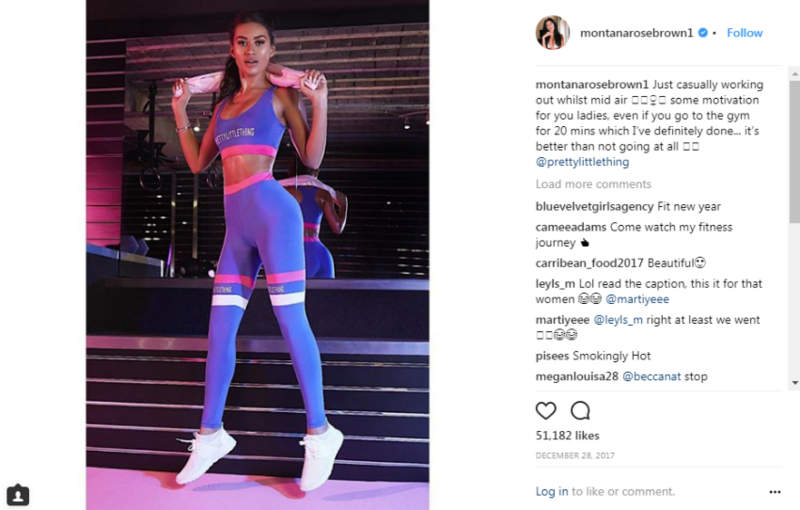 Montana Brown landed herself a huge deal to become the UK ambassador for PrettyLittleThing and regularly posts to her 1.2 million followers. - Create engaging content, not ads. The standard scenario of an influencer posing for a photo with a product in their hand with a generic caption about how much they love the product is getting pretty old. Influencer marketing campaigns should look a lot less like generic ads and should put more focus on content marketing. For example, getting more creative with posts such as producing an explainer video that allows the influencer to demonstrate how the product works. When creating an influencer marketing campaign, it is important to consider the story you want to tell, the message you want to convey and what you want your audience to get from the content you’re supplying to the consumer. - Explore the influencer marketing social platforms. Often influencer marketing is automatically associated with Instagram, however there are many more platforms that can be utilised to communicate brand campaigns. Most influencers base their pricing on their following, engagement and demand, so when being inundated with offers from brands to promote their products on Instagram posts, their prices are likely to rise due to perceived value. If the same influencer doesn’t have such a strong following on other social platforms such as Facebook and Snapchat, then the costs for promoting on these channels will be significantly lower. Video marketing currently represents more than three quarters of all internet traffic and due to our declining attention span and the dynamic nature of video content, video is likely to be much more effective in driving sales compared to text-based content. Videos feel more authentic and are more engaging, so experimenting with video marketing on Instagram stories, Snapchat stories and Facebook live may be the next big thing for influencers. Influencer marking has become so popular mainly down to the fact that it works and can have a dramatic effect on a brands overall impact when used as part of a wider digital marketing mix. Ultimately, consumers have the option to tune in or out of what is being shown to them, making it even more important to engage successfully with them. The future of influencer marketing ultimately comes down to brand’s choosing the right people to represent them and who will be the most successful in creating strong and long-lasting relationships with their audience.